One of the things I love about the real estate company that I work for is that from founder Gary Keller to my Team Leader, Vicki, Keller Williams cares about agents as people. They give us tools and training to be great agents, but more than that, they want us to be the best people we can be. Their values are: God, Family, then Business. Everything they teach is built on that foundation. 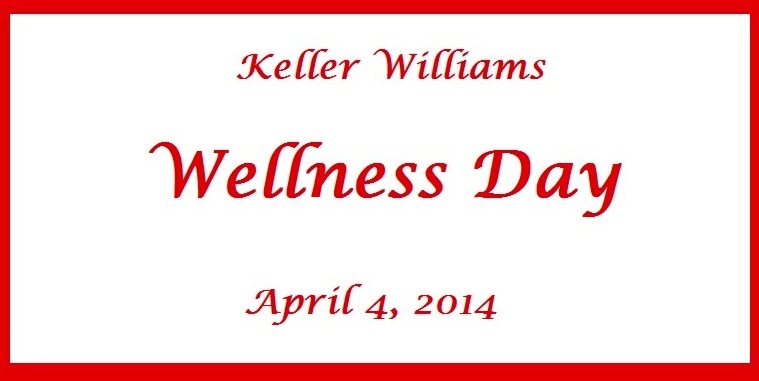 Today, Keller Williams had its first Wellness Day, to promote a balanced and healthy lifestyle among its agents. Recognizing that being realtors and caring for clients, families and the community can be the priority, rather than caring for ourselves, Keller Williams set aside this day to focus on our health and wellness. My first today was to participate in this day of awareness about my health and to teach a session this morning as part of the Wellness Day. Our local office did an awesome job with this event. Sandy Thomas coordinated the classes and activities. The day began with a run to a nearby park and back to the office. Then Shelby Allen from Freeman Hospital taught us about nutrition and clean eating. Listening to her share about the lack of nutrition in most American diets, I was glad I made a decision a month ago to change my eating habits! There are so many chemicals and preservatives in our foods. She warned us especially about products containing High Fructose Corn Syrup and Partially Hydrogenated Oil. She didn’t just share the negatives though, but ended by encouraging us to eat whole foods and gave us resources to prepare those foods in a healthy way. I had the privilege of teaching a class on meditation next. A great group of people attended the class and after I shared about the health benefits of meditating I led them through a 20 minute relaxation meditation. This practice has been so important in my life and it is a joy to share it with others. After we de-stressed and released tension, Yvonne came in to guide us through stretches that emphasized opening the chest area and easing strain in the muscles of the neck and shoulders. We all felt so good after those two sessions! Also included on the agenda today was a tour of a fitness facility that shares the building with us, 15 minute chair massages and a wonderfully healthy lunch. Israel did an excellent job grilling chicken, shrimp and veggies. The Wellness Day concluded with Zumba by personal trainer Jennifer Jameson, owner of Temple Fitness, and personal trainer Travis Renfro. That was fun as we learned new moves to upbeat music and got a workout in at the same time. I love my company. Even more importantly, my company loves me and cares about my well being as a whole person. Thank you to Keller Williams Realty for desiring its agents to have a life worth living, and beyond making that a nice sentiment, for giving us ways to attain such a life.